During last year’s Teddy Bear Suite fundraiser, we got a phone call from Edgartown resident Rose Walsh. 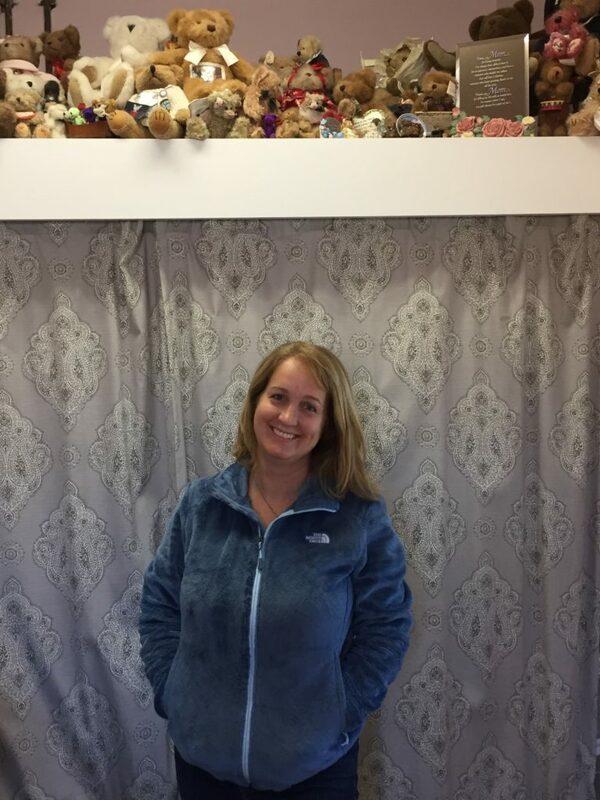 She wanted to donate a large number of teddy bears from her mother’s collection to the Martha’s Vineyard Teddy Bear Suite. As you can imagine, we were thrilled at the idea of adding to our family of fuzzy bears, that have been bringing holiday joy to so many. 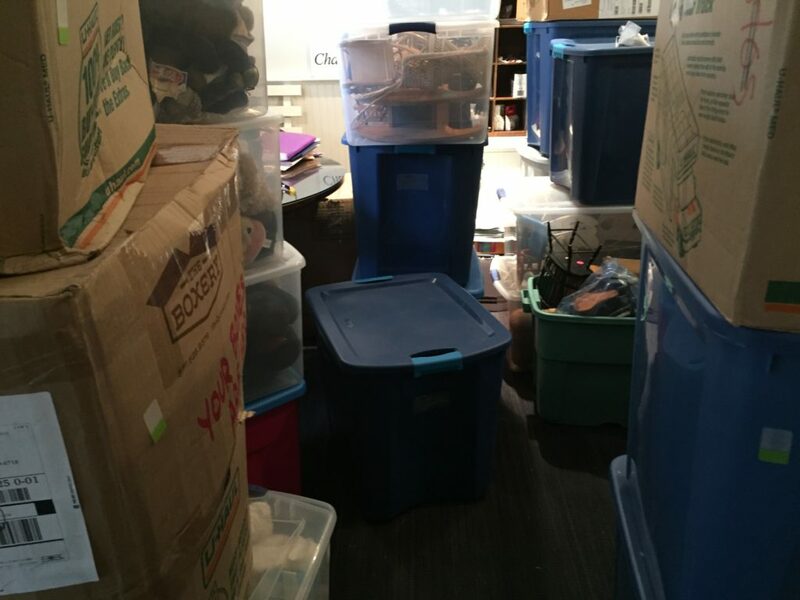 However, space for the bears was a challenge at the time, but that’s no longer the case. Last week, we were finally able to connect with Rose. Her gift is so much more than teddy bears. 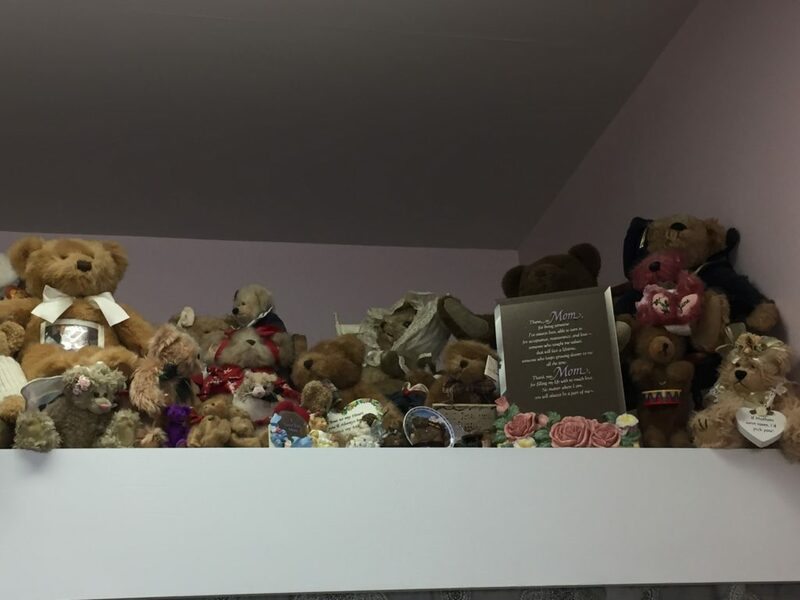 Rose’s mother, Rosemarie Carr, had more than an avid collector of teddy bears. The love started at age 10. Rosemarie lost her mother at that young age, unexpectedly, and the loss was devastating. Before she passed, her mother had given her a teddy bear for her birthday. This bear signified her mother, a way of holding onto her love. She collected bears from all over the world when she traveled with her husband, and if she had friends going to countries she had not been to, she asked them to get her bears. Birthdays and Christmas was easy, everyone got Rosemarie teddy bears. She loved them, big and small, traditional, whimsical. They were her passion. She had three rooms of her home in Essex, Massachusetts, devoted to her bears. There was no favorite per say or type she preferred. She had hundreds and hundreds of bears, probably over 1,000. All five of her children and her grandchildren were able to play with the bears. Each of her children had their own space, filled with the bears they had given her. These bears were such an important part of her life for decades. They gave her comfort and joy. She loved her bears. In 2014, Rosemarie went to the Martha’s Vineyard Teddy Bear Suite with Rose and her grandchildren, and of course, it was love at first sight. What a wonderful idea, and what a joy for her to see all those teddy bears spreading holiday magic. Rosemarie always worried about what would happen to her bears when she was gone. She cared for them. They were such an important part of her life. 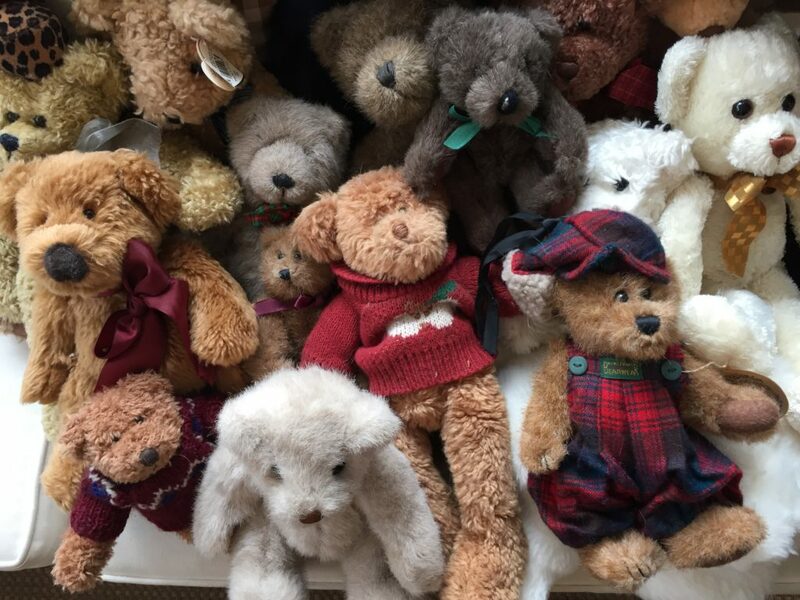 When she died unexpectedly in 2015, the family was at a loss as what to do with the extensive collection of bears. Rose had an idea – the Martha’s Vineyard Teddy Bear Suite. Of course we were thrilled. However, we did not realize how important this would have been to Rosemarie. 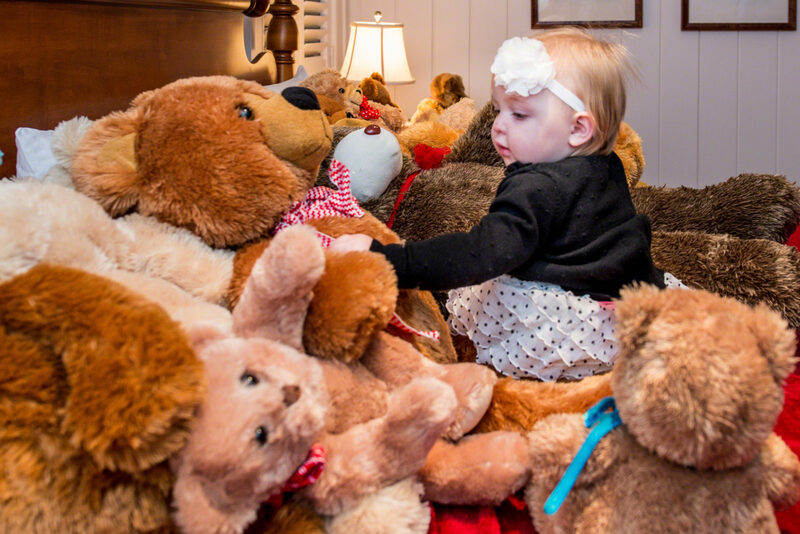 So many of her bears have found a new home with the teddy bear suite. They are on Martha’s Vineyard, along with her daughter and grandsons. Rose kept a number of bears that were special to her and her mother. She has set up her own tribute in her home business. She had stories to share from many of the bears. She said she won the lottery as far as mothers go, and knowing she was able to see her bears go a good home has made her very happy. Rosemarie’s bears will continue to bring joy to so many for years to come. 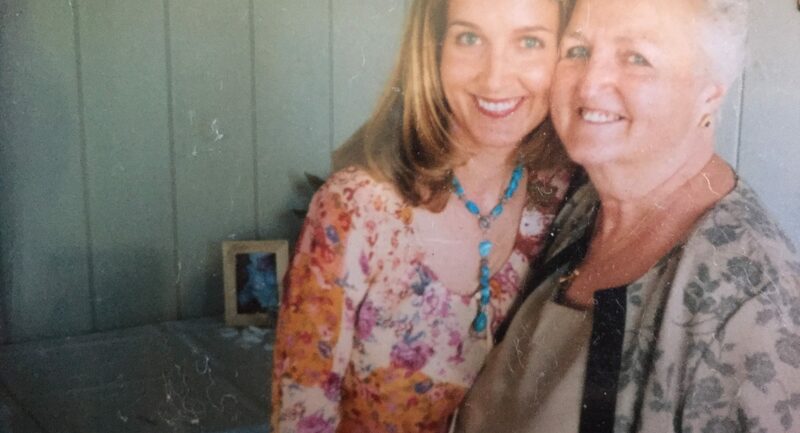 Rosemarie’s love of teddy bears lives on, her legacy continues. 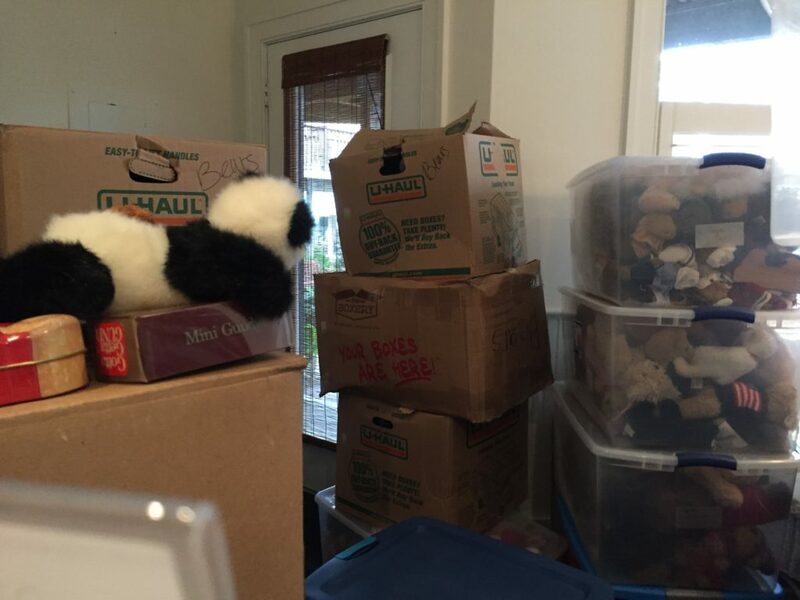 Going through boxes, upon boxes of bears, and bear accessories, you can see the love she had for these fuzzy friends. We felt honored being asked to take care of her collection. There is also the excitement of adding hundreds of new bears to this, the sixth Annual Martha’s Vineyard Teddy Bear Suite. The suite has a new home this year at the Harbor View Hotel, Captain’s Cottage #20. With more rooms and more bears, this year’s event is sure to be even more amazing. And Rosemarie’s bears may be making a special appearance at an in-town pop-up Teddy Bear Suite. Stay tuned for details on this new special event. Here are just a few of Rosemarie’s bears joining the family. There are hundreds more. All different shapes and sizes, each with its own special face. There are angel bears, santa bears, golfing bears and so much more. You’re not going to believe it! Thank you Rose and Rosemarie for this incredible gift. The Martha’s Vineyard Teddy Bear Suite opens the first weekend in December. Mark your calendars for this wonderful event where holiday memories are made. December 3rd 10:00 a.m. to 4:00 p.m.
December 4th 12:00 p.m. to 4:00 p.m. The Martha’s Vineyard Teddy Bear Suite is a fundraiser for the Martha’s Vineyard Boys & Girls Club. Soon we’ll be announcing a new program we’ll be working beary hard, with your help to fund. To find out more about the Martha’s Vineyard Teddy Bear Suite, click here. Thank you for this gift and for all those who make this annual event so special. My kids are 8 and almost 11 and they love it!! Thank you Anne for your continued support! looking forward to seeing you this year at the MVTBS! Thanks for giving our GiGi’s bears a good home! Good luck to the Boys & Girls Club. Love and prayers for a happy holiday for all! Thank you – such wonderful additions to this amazing holiday event. Her bears are so special, and are being loved by hundreds of Island children!